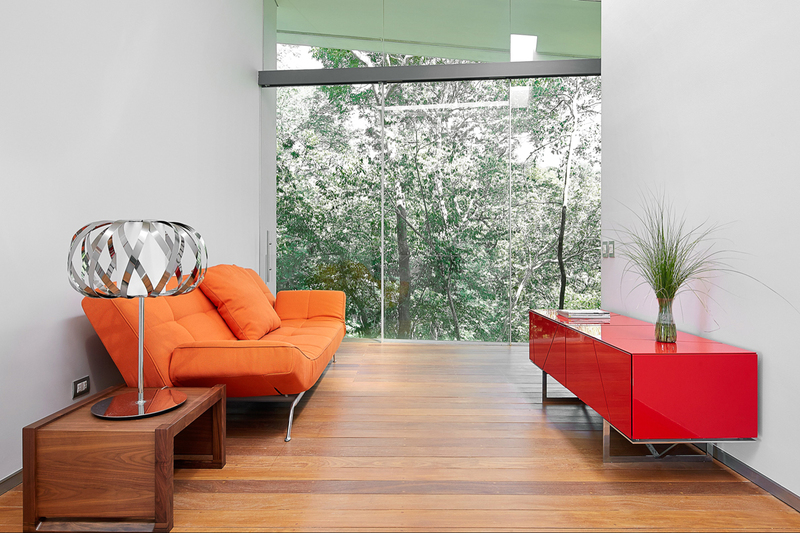 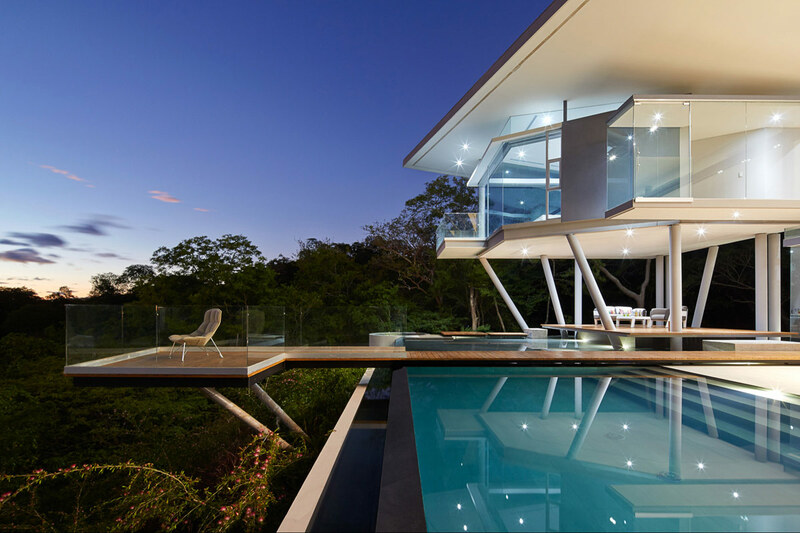 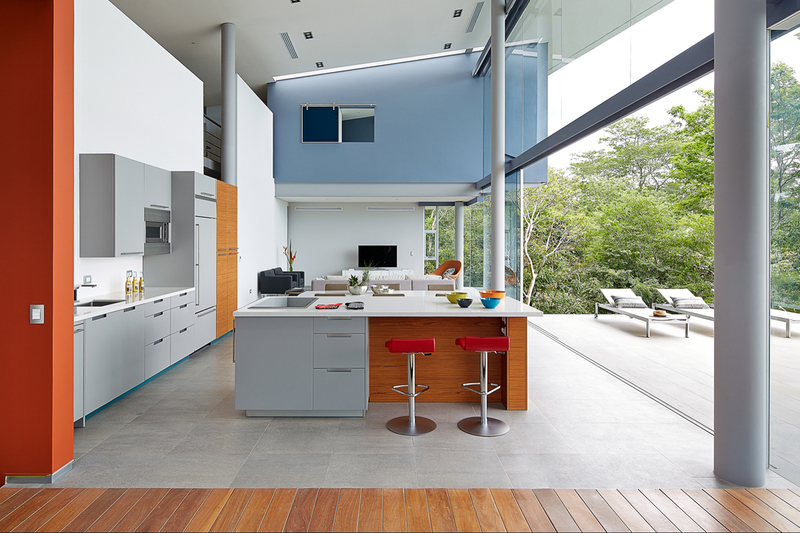 Cañas Arquitectos have designed this modern house with a sloped flat roof, that’s located in the Papagayo peninsula in Costa Rica, and is surrounded by forest. 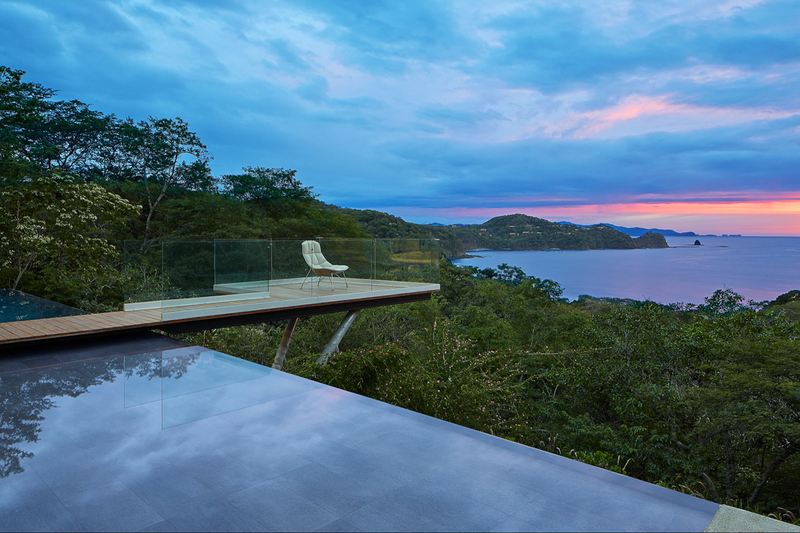 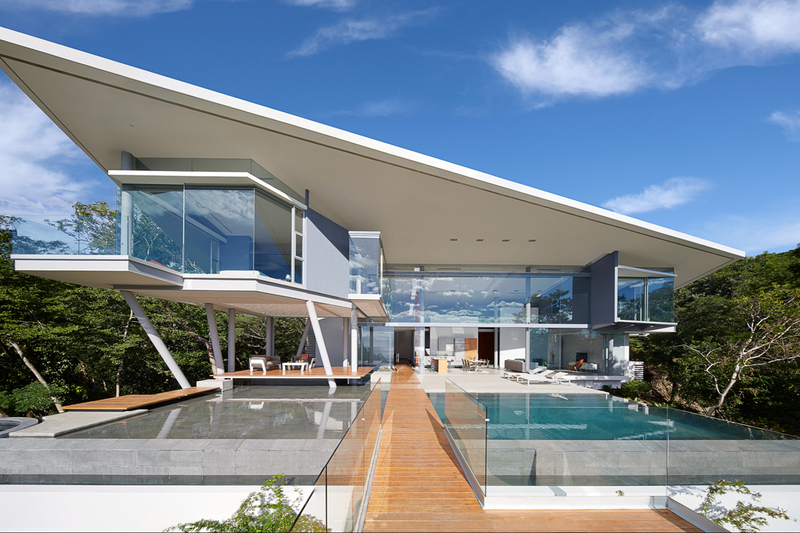 The design by architect Victor Cañas embraces the dramatic setting and takes full advantage of stunning ocean and canopy views. 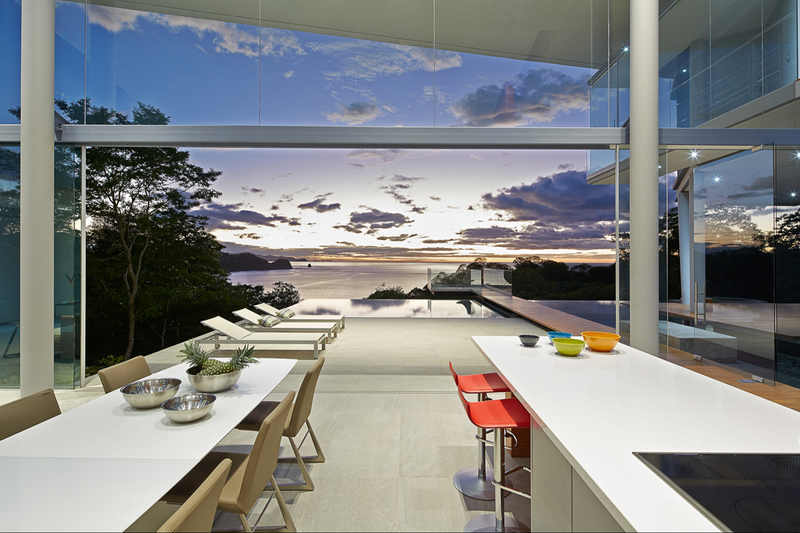 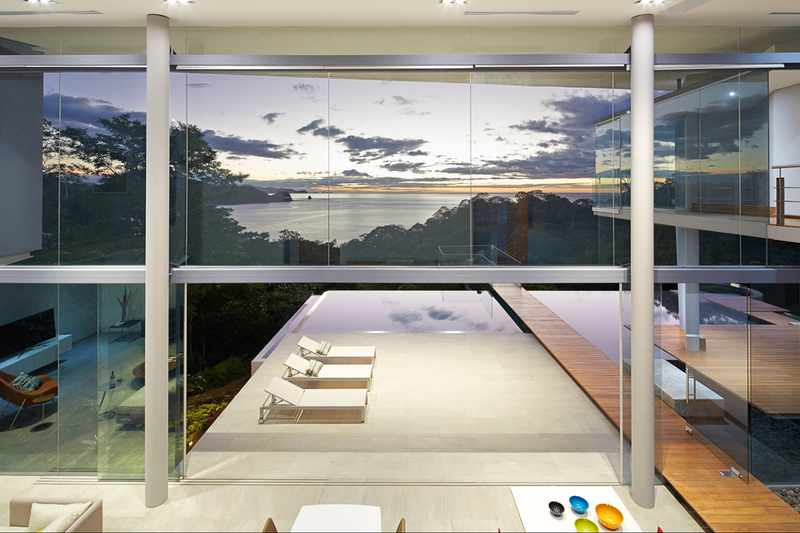 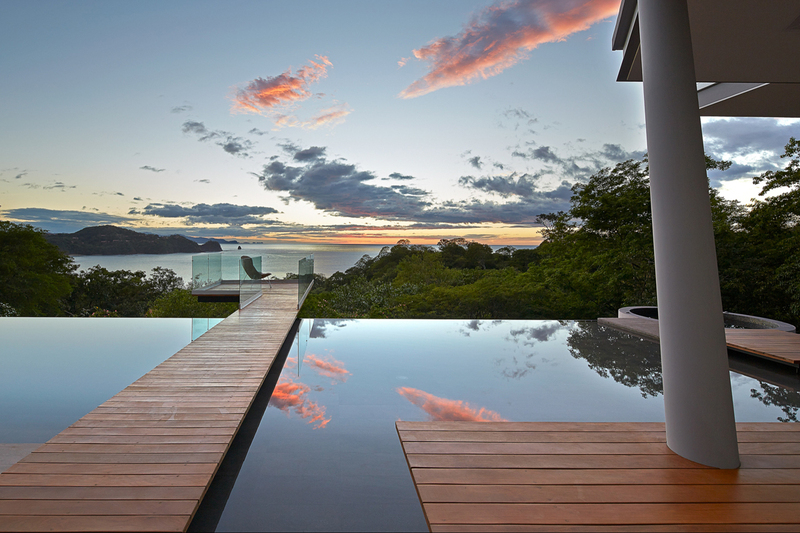 Elaborate window walls frame ever-changing views of the seasonal forest and Papagayo gulf. 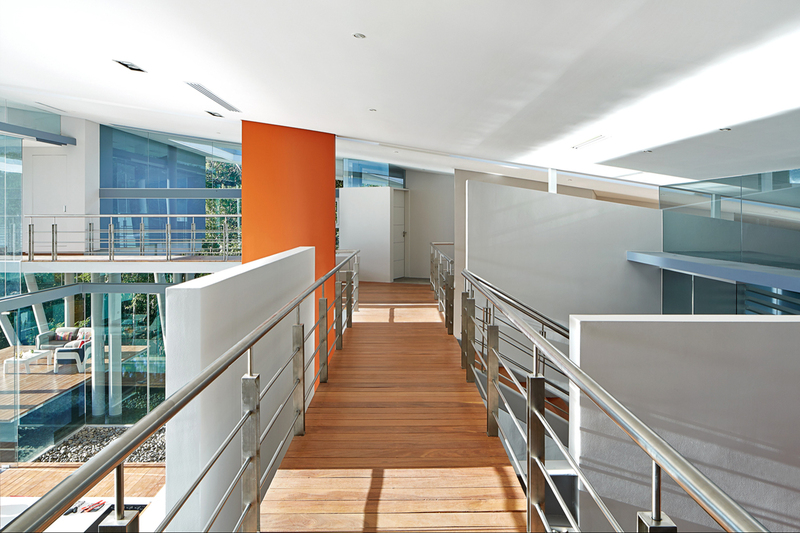 Borders between inside and outside worlds virtually disappear. 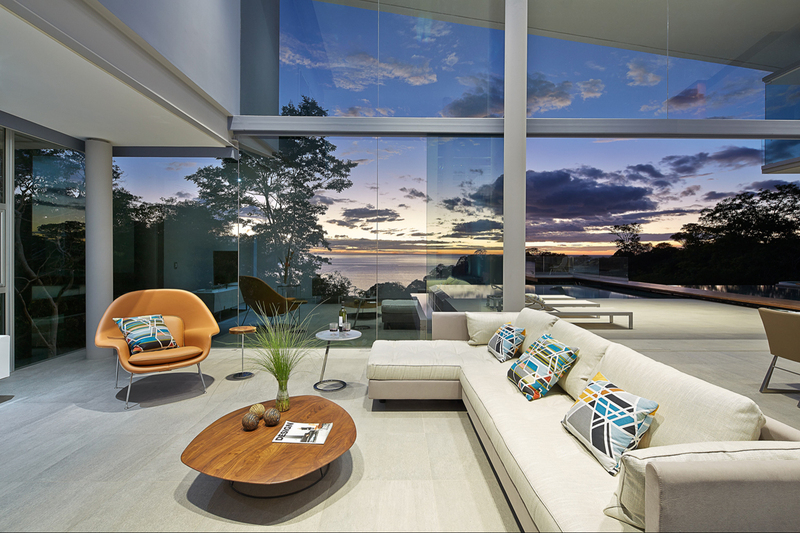 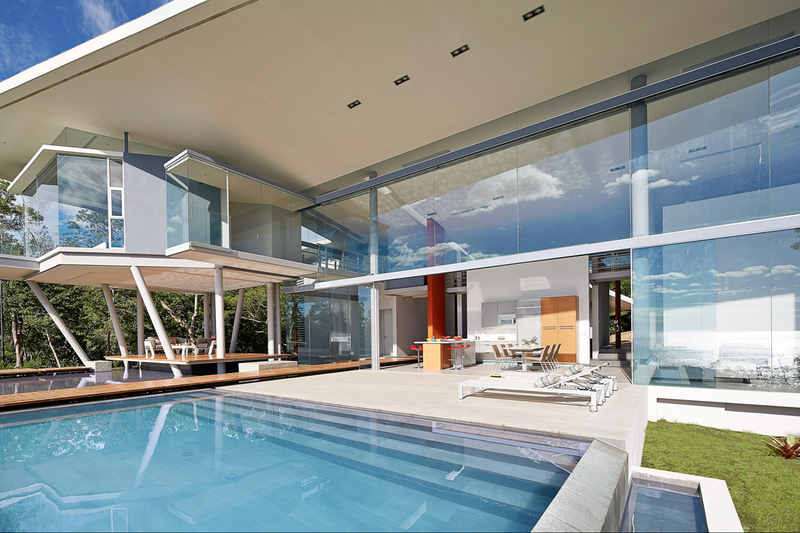 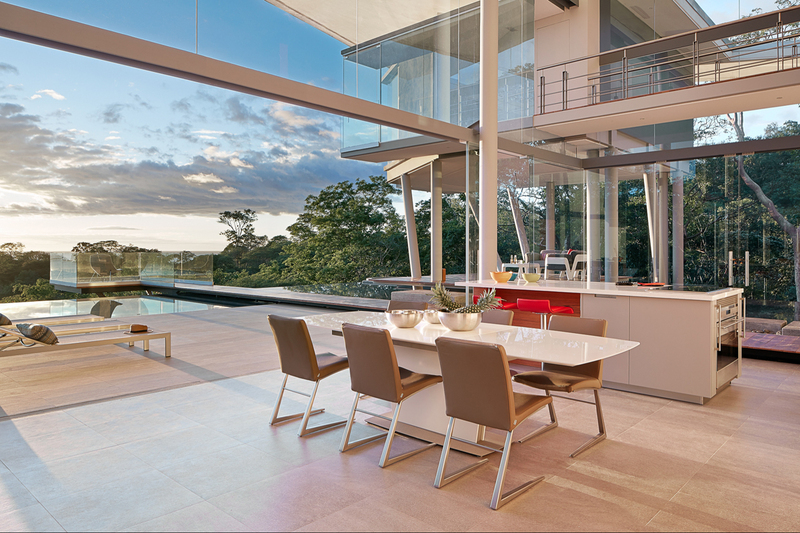 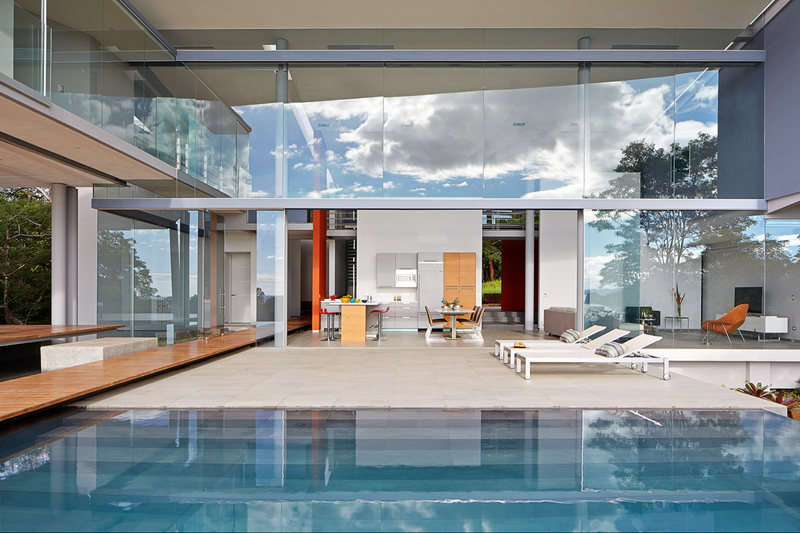 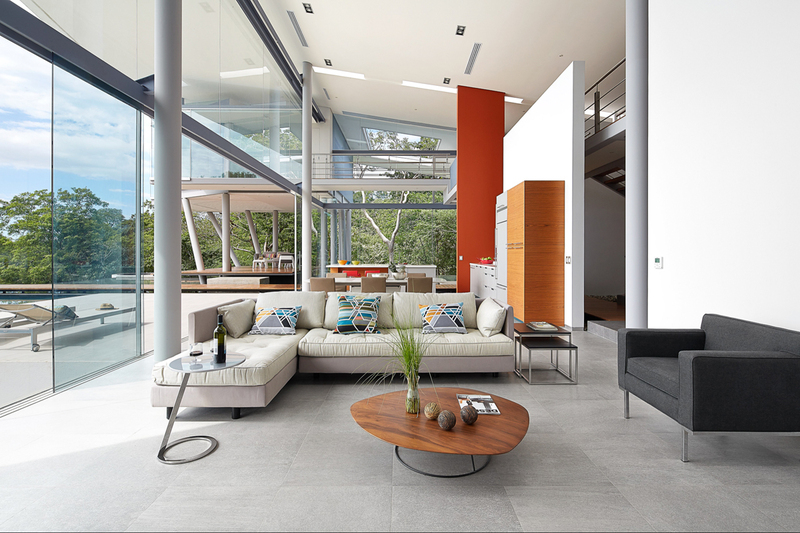 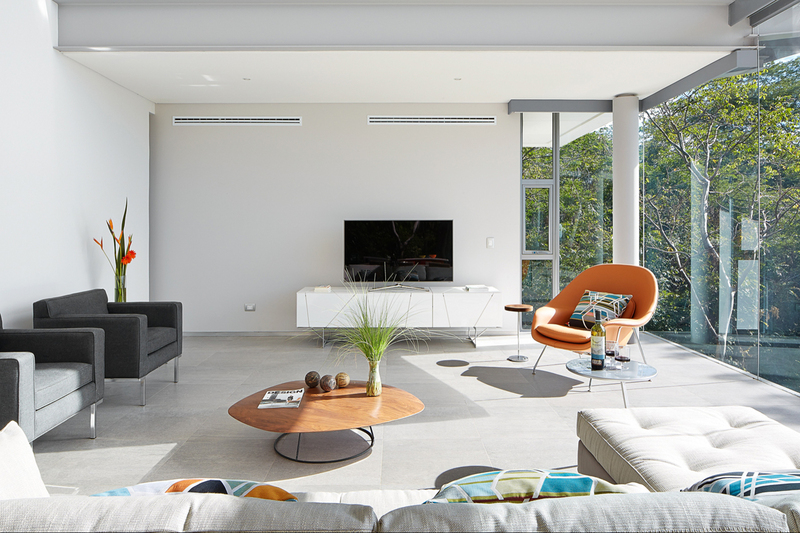 You’ll love the fabulous open plan, dramatic double volume spaces and elaborate sliding glass door systems that fold away, unifying indoor and outdoor living rooms. 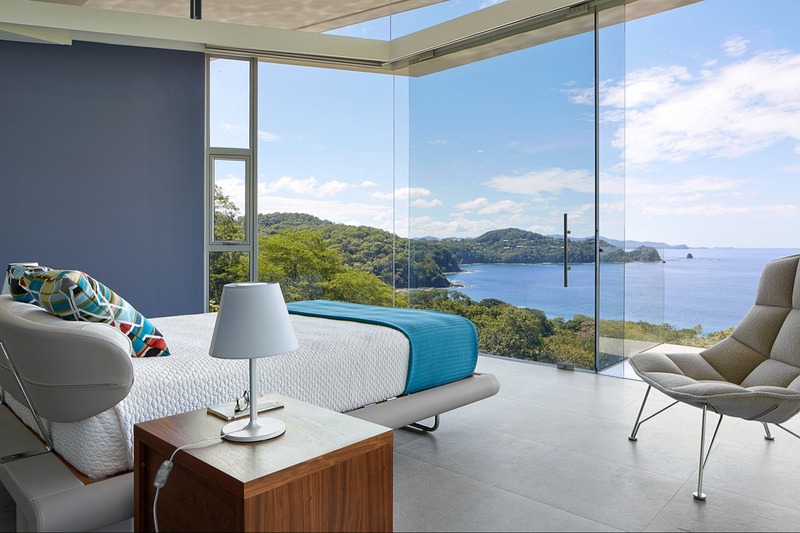 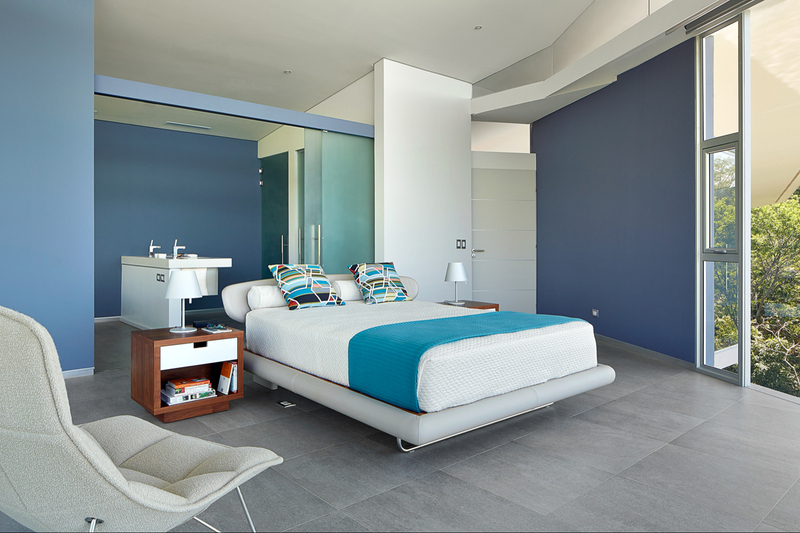 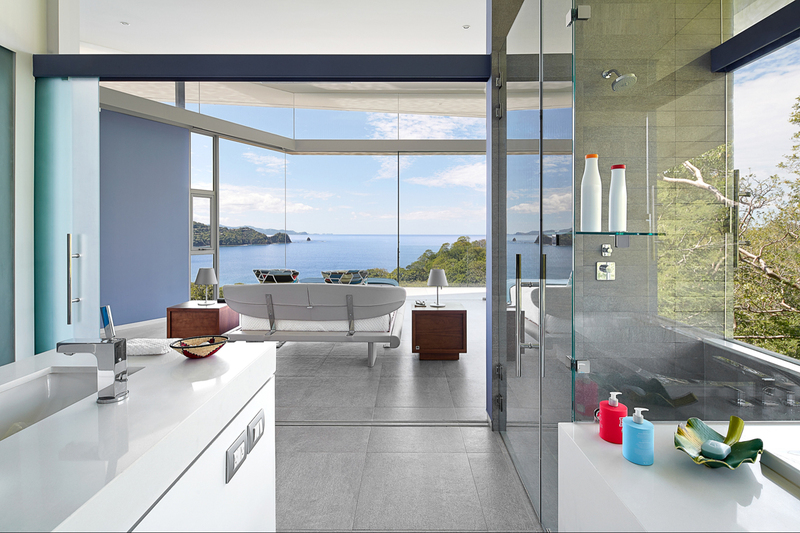 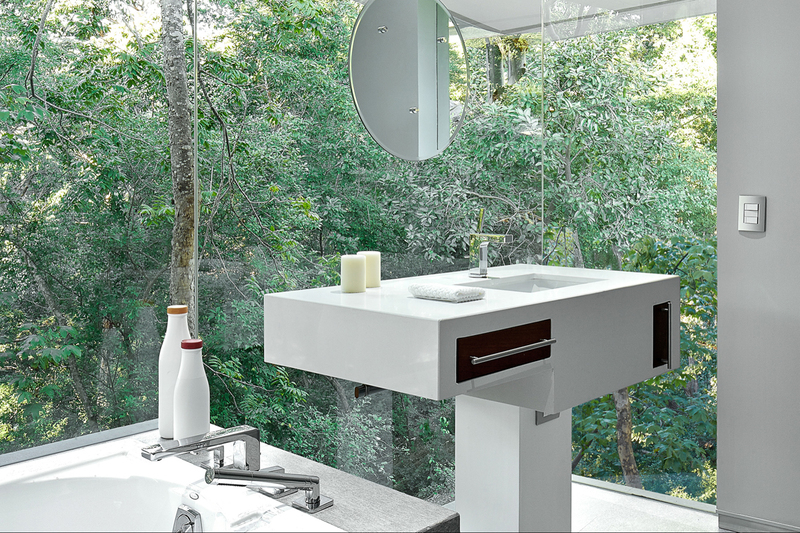 Ensuite bedrooms with no walls appear to meld with the jungle and ocean below. 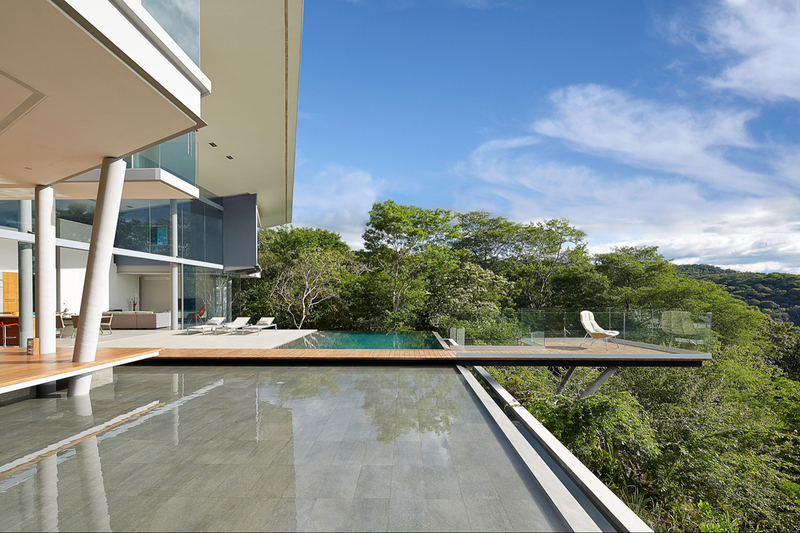 Afternoons by the pool and movie nights in the Monkey Room – a secluded media room that feels more like a tree house – are sure to become new family rituals.